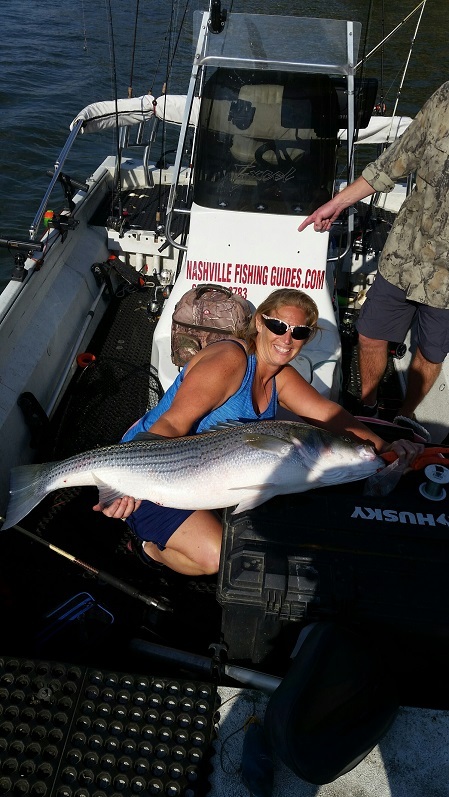 When we take our clients on our Nashville Striper fishing trips generally we start very early in the morning and go till about 10:00. 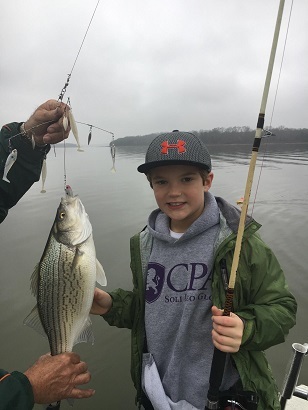 Here on Percy Priest Lake we not only have the traditional big Striped Bass that are so well know, but also hybrid bass that are known locally as Cherokee Bass thrown into the mix as well and this makes for some very exciting fishing. 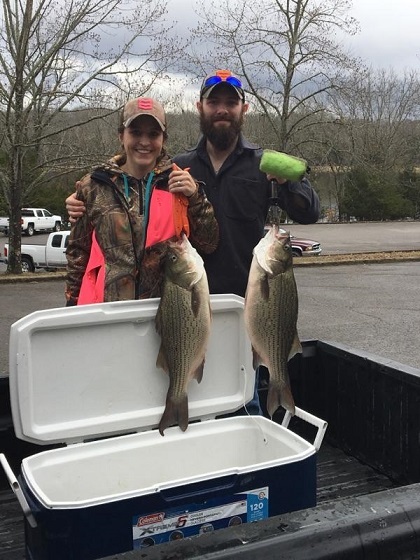 Here at Nashville Hybrid and Striper Fishing Trips we prefer to have our clients using the best freshest bait possible so we harvest them ourselves right here on the lake. 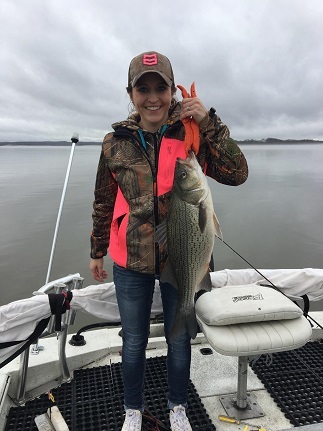 We may travel 6-7 miles to one of our bait grounds where we use a cast net and harvest live shad that are 5-7 inches long. It’s been our experience that the fresher and livelier the bait the more likely the fish are to take them. Or, in the winter time we use a totally different method of fishing….and it slays the fish! Where do we go on the Lake? Our tactics and spots we visit vary from day to day and even season to season. Still though we do have our favorite spots that have historically produced very well for us and our clients. On any given day we may be found plying the waters below the Hobson Pike bridge at the lower end of the lake where the water is much deeper. Normally we’ll set down rods with live bait. If conditions are calling for it we’ll fish in the 12-15 foot range and drift around using our electronics to get on the fish. Then again, depending on conditions and the season, we might be around the 7 Points Landing area trolling down the bluff wall with umbrella rigs. While another place we like taking our clients is the Big Bear Island area where there are some deep jumbled timber masses that we’ve found to very productive. 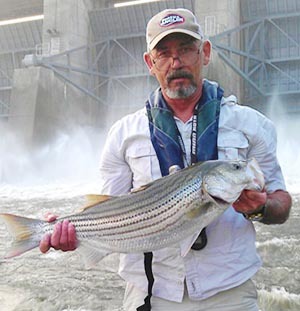 Striped Bass are known to be a traveling fish and they’re always on the move. There are times when we’ll hit the open water to find surface swirls that indicate feeding activity. We like to move in and let our clients throw out weighted and non weighted flukes into the swirls. 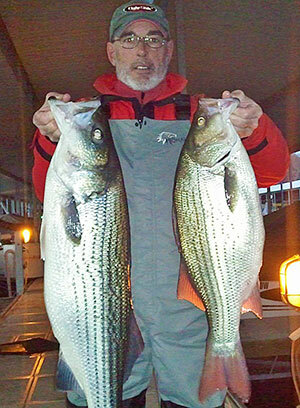 This can be very productive at times and is a more exciting way to boat nice large Stripers. Have our boats and gear in top shape. Provide top rated electronics to locate the fish where ever they are. Take you to areas that are known for producing fish. Have the freshest most natural baits that stripers are known to like and present them in the most productive ways possible. We will not fail to move as many miles as it takes to locate the fish. Gas costs money and we will spend it. We will not keep our best spots secret from our clients. And above all, we will maintain a burning desire to see our clients be successful catching their fish of choice! 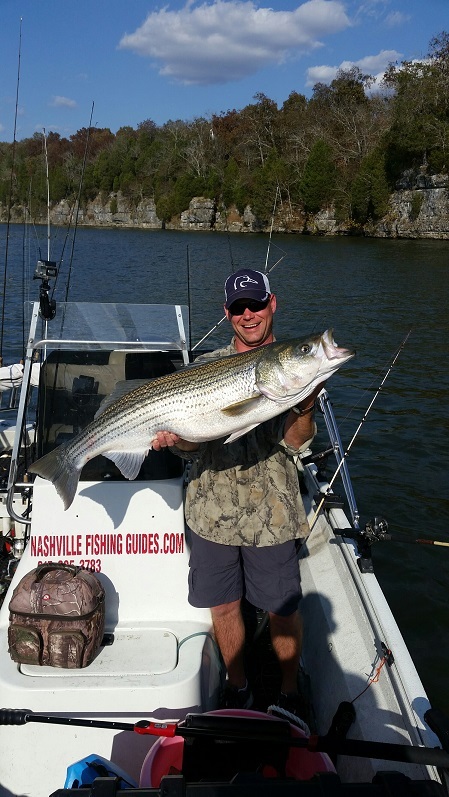 Please be sure to have a valid Tennessee fishing license at the time of your trip! BUY HERE or check out your closest bait shop or sporting goods store. Click here to check our prices and book your trip!